« The Making of “Sleigh Ride”! 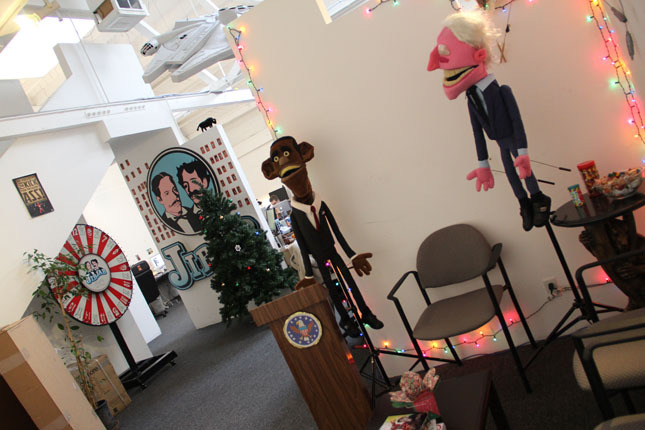 To kick off 2011, we’ve added two friends to JibJab’s entrance way, sure to make great company for folks in our waiting area. This entry was written by paulhanges and posted on January 3, 2011 at 6:34 pm and filed under Inside JibJab. Bookmark the permalink. Follow any comments here with the RSS feed for this post. Trackbacks are closed, but you can post a comment. and is a bull over the wall?